State alcohol regulator's website gets facelift. Should agency operations? 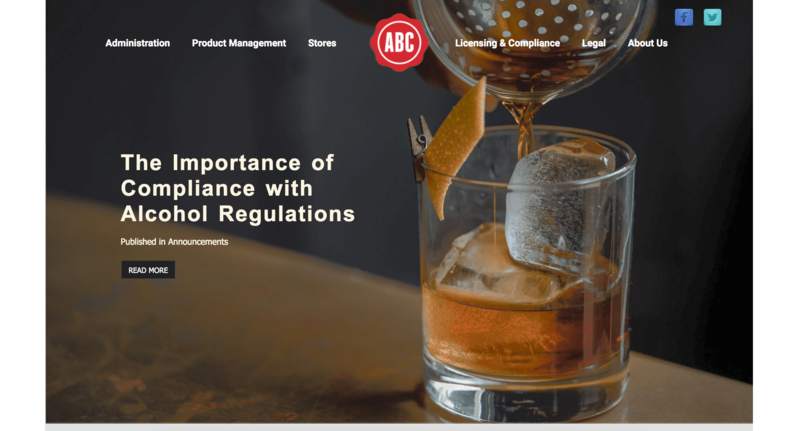 State alcohol regulator’s website gets facelift. Should agency operations? The state’s ABC Board’s old website was beyond just dated in a visual way. It also included some questionable content including mixed drink recipes. But no more, according to Dean Argo, Govt. Relations and Communications Manager at the Alabama ABC Board, the site was updated on Jan. 1, 2018 for that among other reasons. “The previous site was extremely outdated, hard to navigate, had little to no ability to interact with a visitor, a limited search function and provided little information about the Board, its mission, or division functions. Obviously, it had not been updated in several years,” Dean said in a statement. Dean said the board worked off the state contract for professional services and through the State-managed service provider network (ACRO). The State-managed service provider submitted to us resumes from qualified vendors and they evaluated those resumes and then interviewed individual candidates. From those interviews, they chose a web developer by the name of David Connerth to rework the site. “While we are still working on a couple of areas of the new site, including a section for our public education/awareness program about the dangers and consequences of underage and binge drinking called ‘Under Age – Under Arrest,’ our contract with the web developer was about 6 months in length and will cost approximately $85,000,” Argo added. What’s the purpose of the ABC Board? 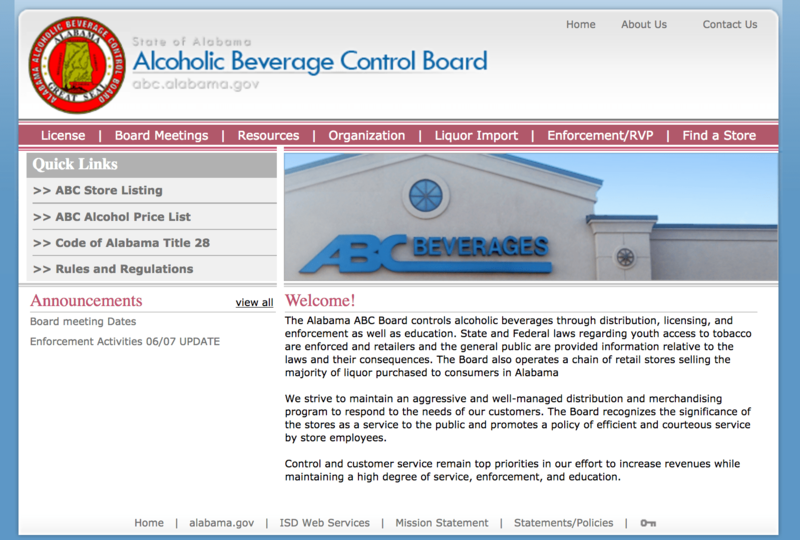 The ABC Board controls alcoholic beverages through distribution, licensing, and enforcement. The Board operates a chain of retail stores selling the majority of liquor purchased in Alabama. But the board’s work isn’t without controversy as Alabama remains one of the last states in the nation with such strict control over sales and licensing. Legislation to change the structure operations has been introduced for years by State Senator Arthur Orr trying to do away with the portion of the Board that runs package stores. Orr has refiled the legislation this session, SB98, in an effort to privatize ABC stores. Alabama ABC Board homepage, Tues. Feb. 27, 2018.